Dynamic Street Portrait Photographer and Documentary Photojournalist Ruddy Roye will lead a four-hour photographic exploration of the streets of the Bronx with the FUJIFILM GFX 50S. He will demonstrate his technique on the mirrorless medium format system, and showcase through hands-on methods, the use of everyday surroundings to highlight the beauty of daily life. Roye will show how he uses this technique to inform great storytelling. The outdoor portrait session will be followed by a portfolio of the day review where choice of lenses, composition and exposure techniques will be discussed. Photographers should bring their own SD cards and laptops. GFX 50S loan units will be supplied for the course attendees in limited quantities; photographers do not need to bring cameras. Radcliffe ‘Ruddy’ Roye is a Brooklyn based documentary photographer specializing in editorial and environmental portraiture, and photojournalism. 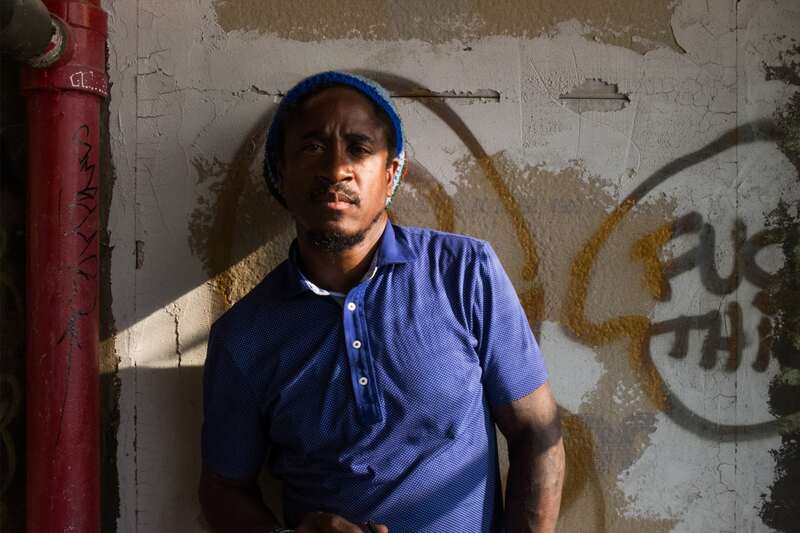 Roye, who has over fifteen years of experience, is inspired by the raw and gritty lives of grassroots people, especially those of his homeland of Jamaica. Radcliffe strives to tell the stories of their victories and ills by bringing their voices to social media and matte-fiber paper. Radcliffe has worked with magazines like National Geographic, New York Times, The New York Times Magazine, Vogue, Jet, Ebony, ESPN and Essence as well as with local newspapers like New York Newsday. Radcliffe honed his skills as a photojournalist by working as an Associated Press stringer in New York covering journalism events. He is also known for his documentation of the dancehall scene all over the world. He has traveled as far as Brazzaville in the Congo to document how Jamaicans and other dancers use the language of dance as a tool for their activism. Radcliffe has also been instrumental in leading the Instagram charge as a photographer showcasing his interest in his community of Bed-Stuy and Brooklyn as a whole. The images he portrays in his “Black Portraiture” or “I Can’t Breathe” series have been the talking point of numerous forums on Instagram. He was asked to take over the New Yorker Instagram feed when Hurricane Sandy ravaged the eastern shores in October 2012. Since then, Radcliffe has been asked by New York University, the School of Visual Arts and is also an adjunct lecturer at Columbia University; engaging in conversations with photography students on the rise of Instagram and the changing face of photojournalism. Radcliffe was recently nominated as Times Magazine’s Instagram photographer of the year. His work is widely sought after for exhibitions all over the world. Most recently he was featured on the New York Times Lens Blog, at the Steven Kasher Gallery and at the Zimmerli Art Museum.